British people are earning less in real terms than they were in 2001, according to new analysis from the Institute of Fiscal Studies (IFS), with young Brits bearing the brunt of the fall in wages. The data, published on Friday, found that wages were 1 percent lower at the end of last year than during the same period in 2001, and nearly 5 percent lower than they were in 2008. Despite wages recovering slightly following the 2008 financial crash, the data also found that most of the recovery was felt by older workers, particularly those over 60 years old. By contrast, wages were still down by 9 percent for 22-29 year olds. “Almost all groups have seen real wages fall since the recession,” said Jonathan Cribb, who authored the IFS report. “Between 2008 and 2014, there is a clear pattern across the age spectrum, with larger falls in earnings at younger ages,” he added. The report also found that British men had taken a hit on their earnings. The IFS suggests men in particular felt a real terms decline in wages because more were employed in the private sector. However, women also experienced a fall in their wages, seeing them decline by 2.5 percent between 2008 and 2014. While the government has agreed with the IFS findings, it said on the whole the British economy was performing well. 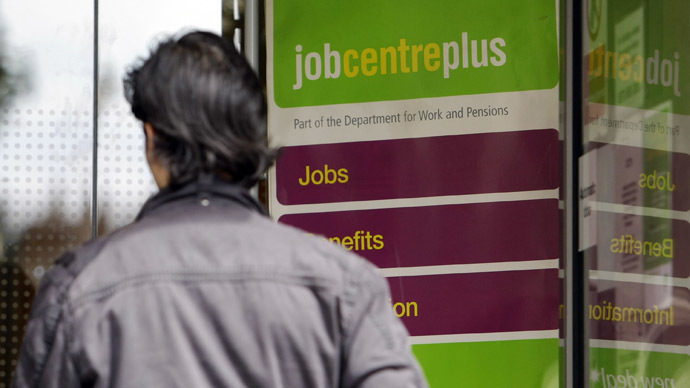 “This IFS analysis confirms that the UK labor market is continuing to perform strongly. We are seeing a record number of people in work, unemployment falling and wage growth accelerating while inflation falls,” a Treasury spokesperson said. “UK income equality is now lower than when this government came into office and the gender pay gap is at its lowest since records began. While the number of people in some form of employment has increased in Britain since the 2008 recession, the report adds that the rate of growth in wages has been slowing and warns this could be a problem for the government as receives less in income tax receipts than expected. Labour’s stance on the national minimum wage is less radical than that of the Trades Union Congress, a federation of 54 unions organizing 6.2 million workers in the UK, which has officially called for £10 an hour for all workers.